COOs and GMs from African subsidiaries of Skipper t&d (A division of SkipperSeil group) attended the Quarterly Review Meeting on October 12-13, 2014 at the global headquarters in JLT, Dubai. This was followed by Board of Directors meeting for the H-1 ending 30th Sept. BOD meeting was chaired by the Group President and centered on the progress of various projects and financial performance across African subsidiaries of skipper t&d. 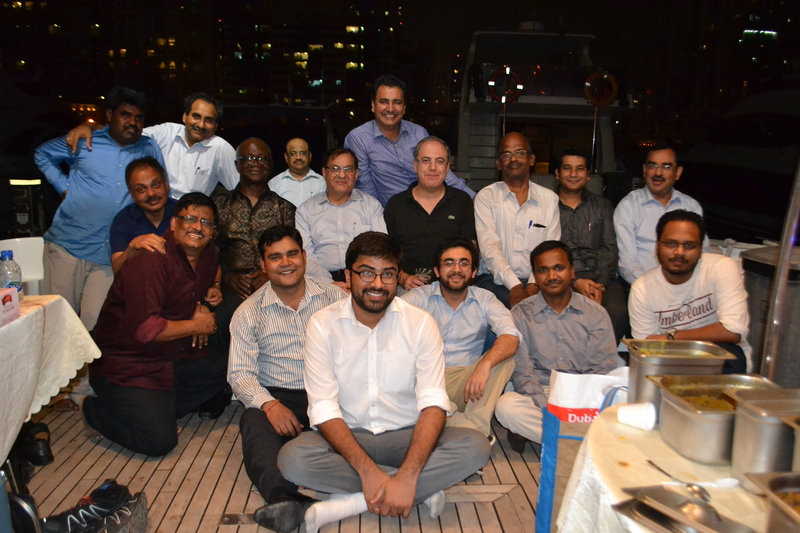 President & Chief of Staff, Mr Shuvendu Mohanty hosted an enjoyable soirée on a yacht at the Marina Yacht Club and attendees enjoyed a delectable fare and Arabic themed entertainment.